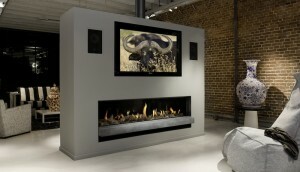 Wide, horizontal gas fires. The combinatino of a high quality design and high quality technique bring out the best. 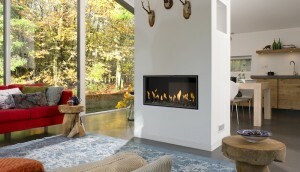 The Horizon Bell 3 line falls under ‘the new generation gas fires‘ where the focus is on design and safety. The result of many years of knowledge, research and experience. 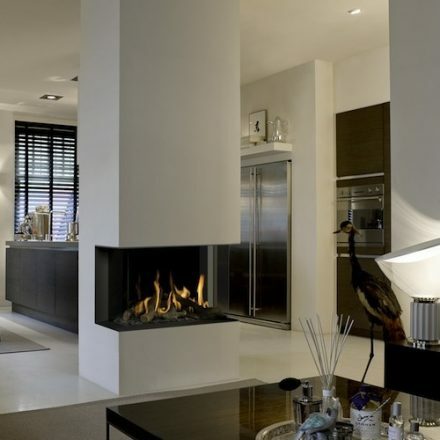 With the new horizontal appliances the offer of Bellfires literally is much more extensive. 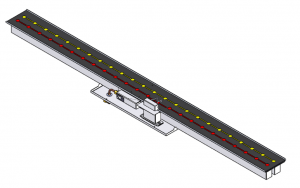 An innovation based on a optically floating an 8 millimeter thick profile, behind which ceramic glass has been assembled. More than ever the fire is actually experienced as an open fireplace. 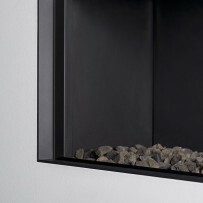 Hidden Door – The Hidden Door principle was developed by Bellfires especially in order to give modern fires the most minimalistic possible exterior. The black screened glass edges are a typical feature. The recently introduced Hidden Door 3 concept now has several additions with +frames: Hidden Door 3+ 7 cm, Hidden Door 3+ 10 cm, and the updated Hidden Door 3+ 10 cm with stonebar. 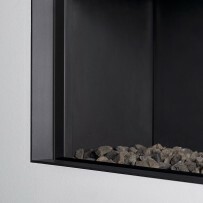 These +frames of 7 and 10 cm allow the gas-fired fires to be built in in a very neat and minimalistic manner. The reveals around the window make these +frames a part of the fire itself. 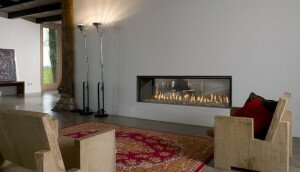 This intensifies the focus on the experience of the fire and the spectacular flame pattern more than ever. 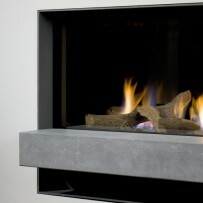 The gas-fired version with the Hidden Door + 10 cm frame combined with a stylish natural stonebar. 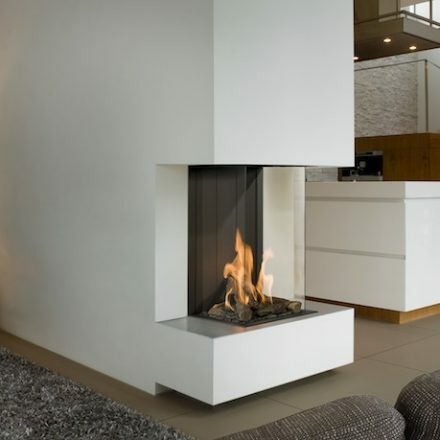 This bar forms a single unit with the fire, but seems to optically float. This floating effect is created by a recess under the platform that is coated in the same colour as the hearth. Convection air is supplied through this recess. 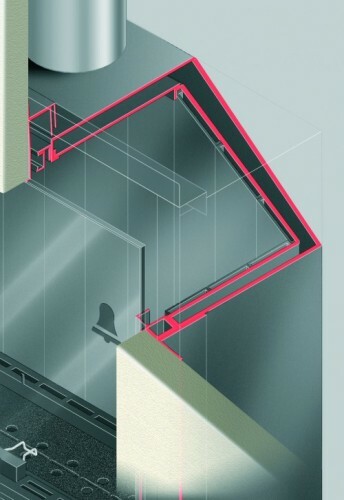 An additional advantage is that the operation of the hearth can be beautifully concealed here. There is no longer any need to fit a hatch in the surround. Unattractive convection air grills are also a thing of the past. Hidden Door frames – for maximum minimalism. Why the Bellfires double burner? 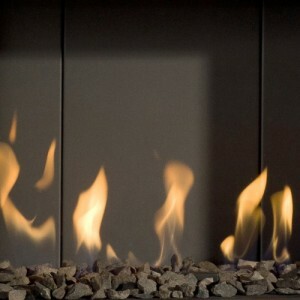 Customize your hearth: Line Fire or Centre Fire. A pleasant flame image without unwanted extra power. Enormous savings on heating costs. No concessions on robustness, rigidity and reliability. 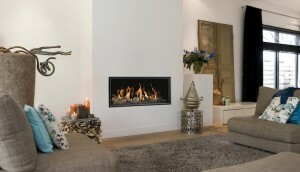 The best hearth for the best price. 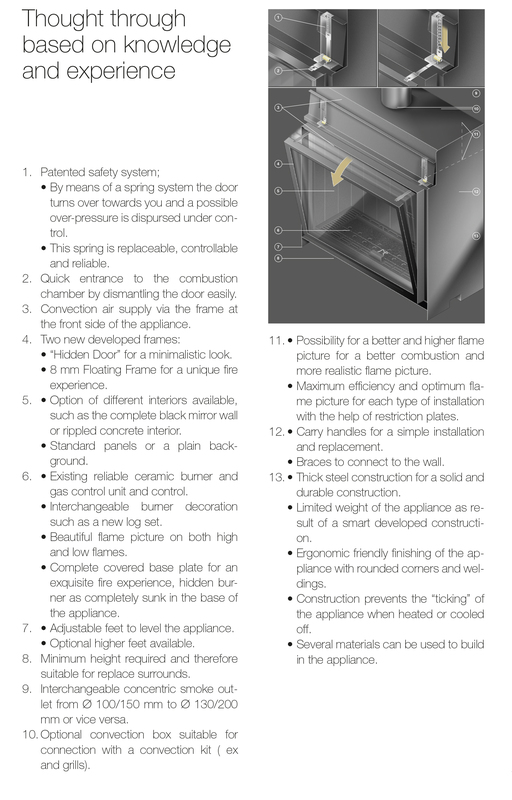 Naturally the developers of Bellfires have extensively thought of the safety aspects as well. 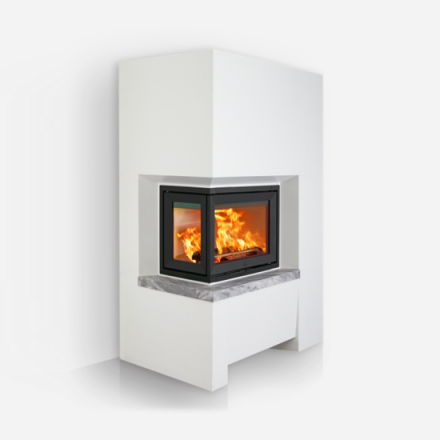 The Horizon Bell 3 is equipped with a patented safety system where possible overpressure in the fireplace will be discharged in a controlled way. 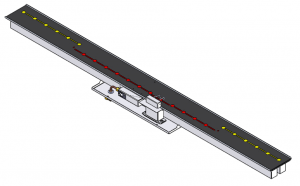 The uniqueness of this safety system is the replacability, controllability and therefore the optimum reliability. Those features are a clear surplus value, especially in extreme situations. 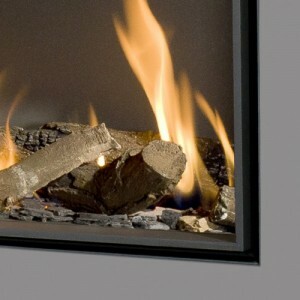 Interfocos is the 1st fireplace manufacturer to go into production with „green“ glass! This glass is called Premium Green Neoceram, also called polished glass. Ecological production process: during the production process no harmful material whatsoever is used any more so that the glass is completely recyclable and does not cause pollution. So it has the label „Green“. 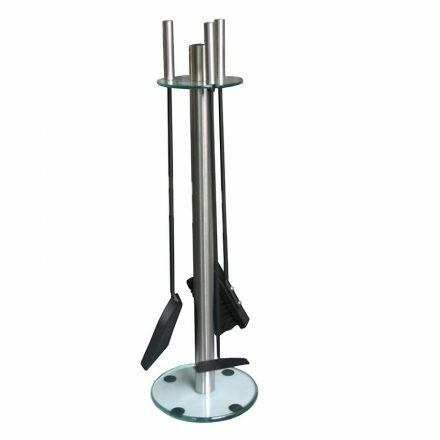 Anti-reflective glass, also called Anti Reflective Premium Glass, is available for the Original and Horizon Bell 3, it is only possible in combination with a Floating Frame. 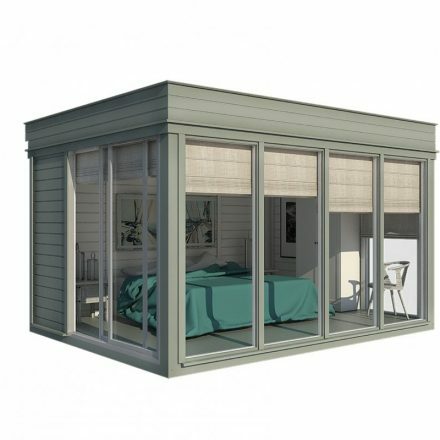 The anti-reflective glass has 10 different metal oxide coating layers on both sides. This reduces reflection to less than 1%. The thickness of the coating layers is monitored down to the nanometre level to control the degree of reflection perfectly. The degree of reflection of untreated glass averages 8%. Anti-reflective glass has a degree of reflection of just 0.7%. Thanks to the new coating technology, anti-reflective glass is completely invisible when you approach it directly from the front. So, an even more interesting fire experience! 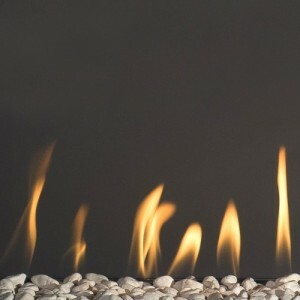 The gas burner of all Bellfires gas fires has a durable, ceramic interior work which remains its shape at high temperatures, guaranteeing the quality. The little hole pattern of the ceramic parts ensure a refined gas flow resulting in a beautiful flame and a good combustion. 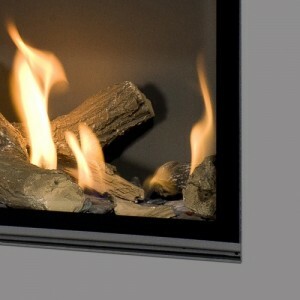 All Bellfires gas fires are equipped with the so-called closed combustion system. 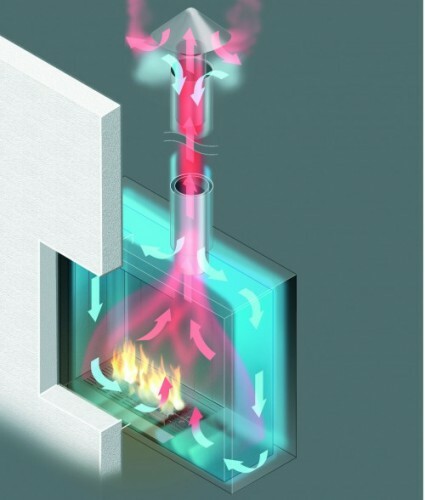 This means that they can be installed without the necessity of an existing chimney and that a high efficiency is reached. 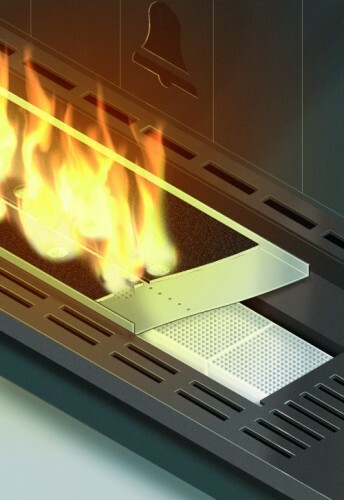 All Bellfires gas fires are produced fromthick-walled metal plate material. 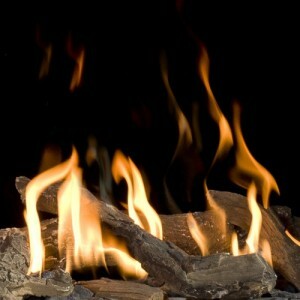 This guarantees the quality and durability which you are used from Bellfires. Stoking on gas is not only clean and safe: it’s mainly also the easiest way of ‘stoking a fire’: on is on and out is out. 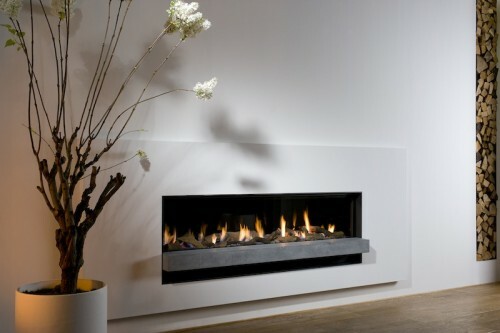 High flames, low flames; you can regulate it all with one single push on the remote control. 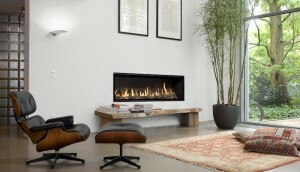 Bellfires offers warmth and atmosphere in one; for every interior, for every living style. Last but not least: one achieves a maximum efficiency and a minimum emission. Naturally the developers of Bellfires have extensively thought of the safety aspects as well. 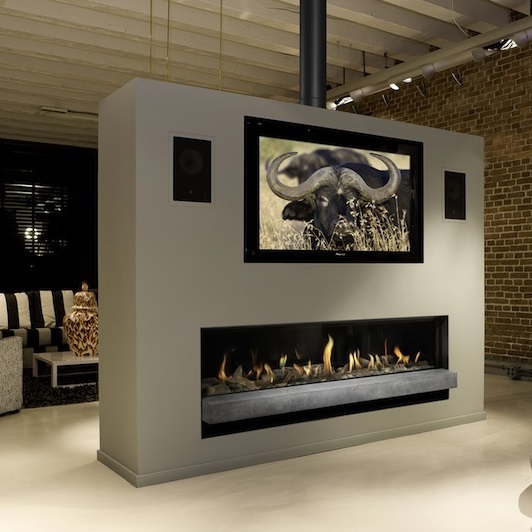 The Bellfires 3 is equipped with a patented safety system where possible overpressure in the fireplace will be discharged in a controlled way. The uniqueness of this safety system is the replacability, controllability and therefore the optimum reliability. Those features are a clear surplus value, especially in extreme situations.